Explore the art and adventure of the quintessential entries in the Final Fantasy saga with this gorgeous 300-plus-page hardcover. Collecting concept art, design notes, creator retrospectives, and more from Final Faintasy VII, Final Faintasy VIII, and Final Faintasy IX, Dark Horse's journey through the creation of the groundbreaking role-playing masterpiece continues Dark Horse and Square Enix are thrilled to present the second of three volumes that officially translate Square Enix's detailed history chronicling the creation of the Final Fantasy franchise's seventh, eighth, and ninth games. 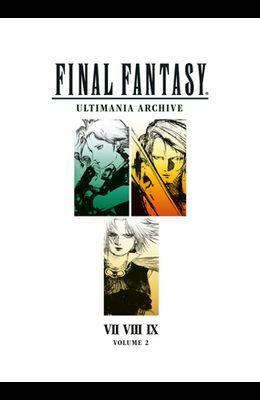 Filled with captivating art and creator commentary, Final Fantasy Ultimania Archive Volume 2 remains completely authentic to its Japanese source material with unrivaled access for a Western audience. This prestige compendium is a must-have addition for any Final Fantasy enthusiast's collection.